behaviour needs keeping to a minimum. So ask; what can be done to placate them? trying to persuade them that the idea is a good one. support needs maintaining but needs little input. It’s a mutually good relationship. 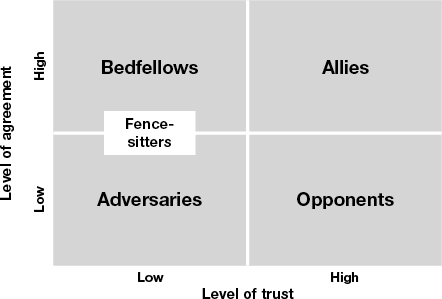 Fence sitters: low trust and really can’t decide if they like the plans or not. it that’s stopping you’? But at the end of the day they usually make their own minds up. behaviours associated with each political skill, you can read it here.